Original onion rings may be little bit difficult to make it at home, as it is more crisply and have a great texture and color. Onion rings are very famous street food and especially the crispy onion rings from Burger King are just speechless. Just imagine, it’s raining outside, and you want to eat something fried or something spicy and tangy, what may come in your mind first??? Pakora… Right??? Or you may think about chaat or some spicy street food. I always eat pakora during the first rain of season. Last week we had first rain, and to welcome the monsoon by making this cheese stuffed onion rings during that time. Alternatively, you can also try Delicious Crispy Potato Fritters or Fenugreek Toasts during the rainy season. Making fusion recipes, is my proficiency, I always got some best ever fusion recipes from different cuisines. Here, I am not trying to recreate that famous one, but want to make it with Indian touch. I have sliced some onions and make two pair of each disc. How to make batter for cheesy onion rings? I want to create glutton free batter using only gram flour, and I also tried. But it was soggy, so I have added some all purpose flour to give a crisp to onion rings. 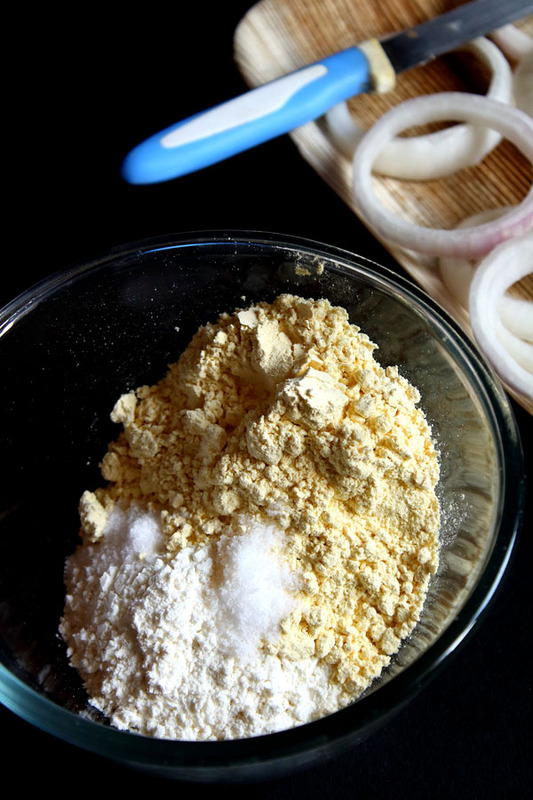 The texture of the mixture is also play a role to make perfect onion rings. The batter must not be too thin that only do coating. It should be thick enough so that cheese will not comes out while you fry it. To stuff the cheese between two slice of onion, I used processed cheese cube and make thin slice form it, and put cheese slice between the onion rings. 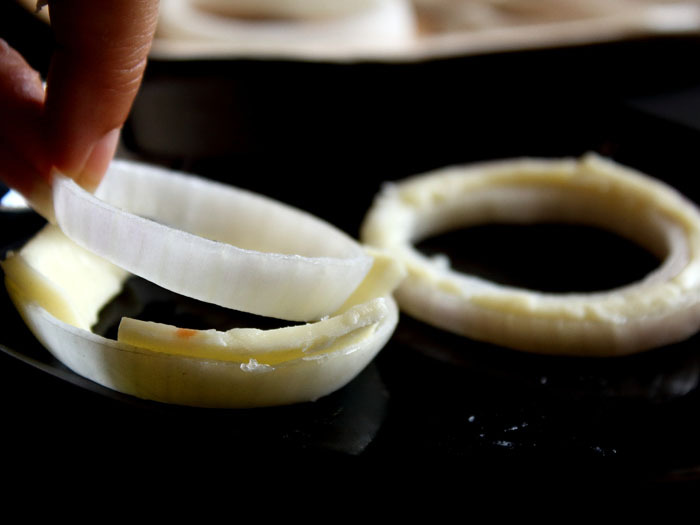 It looks easy, but you need to take care about onion slices must be stick with cheese… Now, deep the rings into batter and fry it on medium heat oil. Serve it with tomato ketchup, or some mayonnaise dip. You can sprinkle some pepper powder or some chaat masala… Super tasty… Not too much soggy and not much crispy. To make batter glutton free, you can use only chickpea flour or gram flour (besan). Only drawback is it may little soggy. I have added all-purpose flour to get some crispy rings. But you can also add corn flour. The amount of water is depends on your flour type. So try to maintain the batter texture showed in figure. You can add spices as per your taste in batter. I only added salt, but you can add red chilli powder, pepper powder or cumin powder. 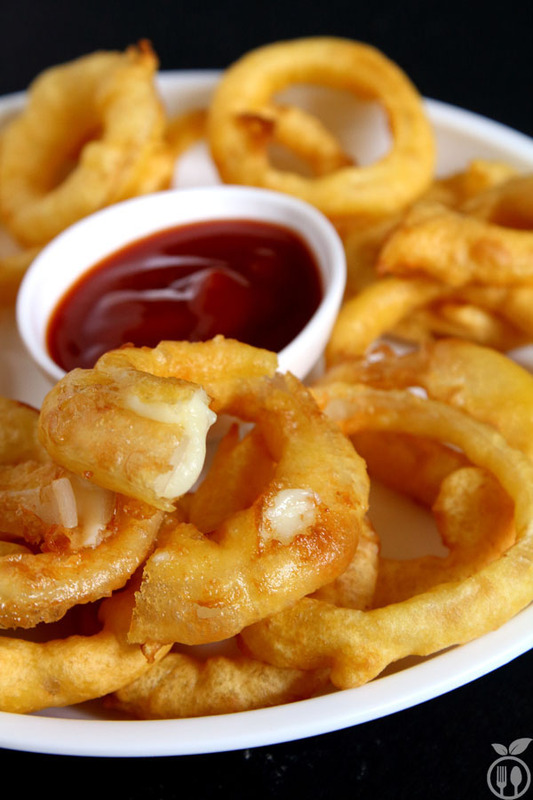 Cheese Stuffed Onion Rings - Yummy and delicious cheesy onion rings is best food to enjoy the first rain of the season. Let me tell you, my cheese stuffed onion rings is here to rescue in case you are struggling to choose between onion rings or onion pakora. 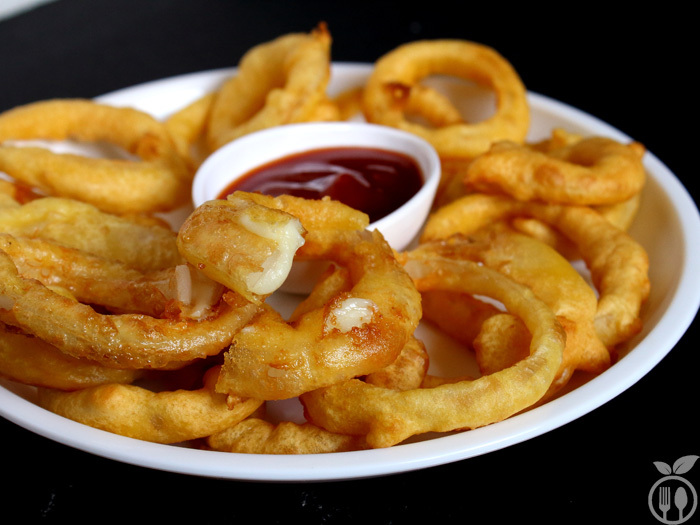 This cheesy onion rings will definitely satisfy your craving to eat pakora. 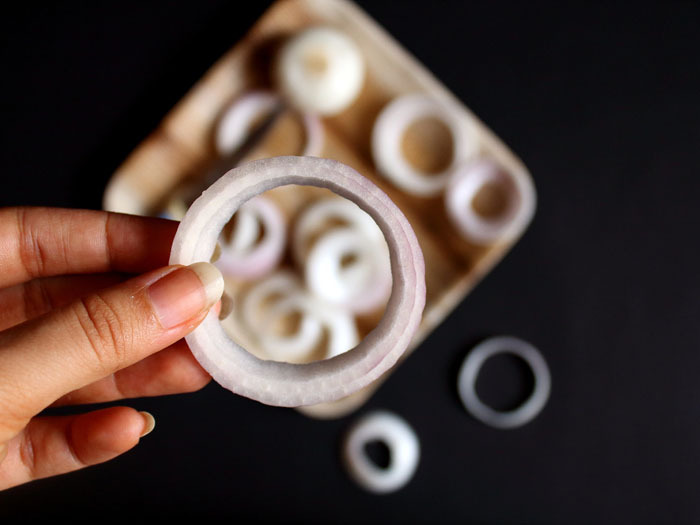 Slice the onion into thick discs and separate the rings from the middle part. To make batter, take all ingredients into one bowl. 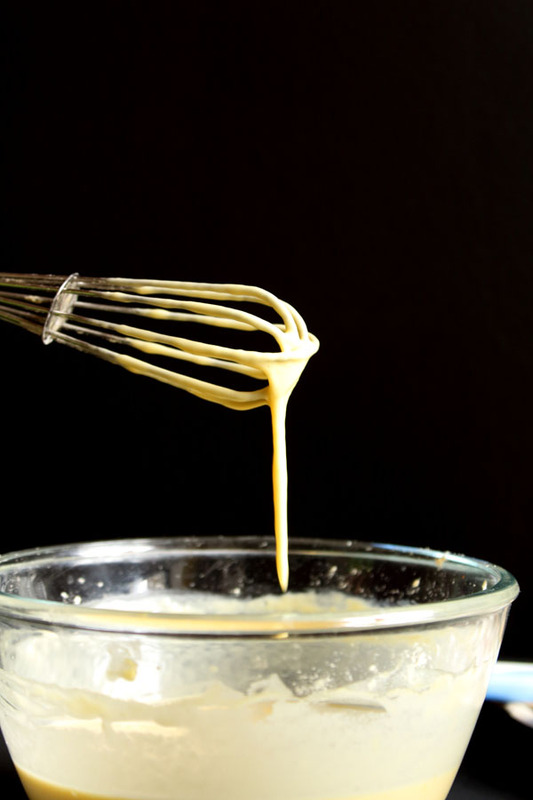 Add water and whisk well to create a little thick batter from it. Now, slice the cheese cubes. And create small pieces of cheese. Now take two consecutive onion rings and in between two rings, stuff the cheese pieces and stick the two rings together. Heat the oil in medium heat. Now, deep the stuffed onion rings into batter and fry them at high flame, do not fry till brown colour. 1) Serve hot with tomato ketchup or mayonnaise deep. 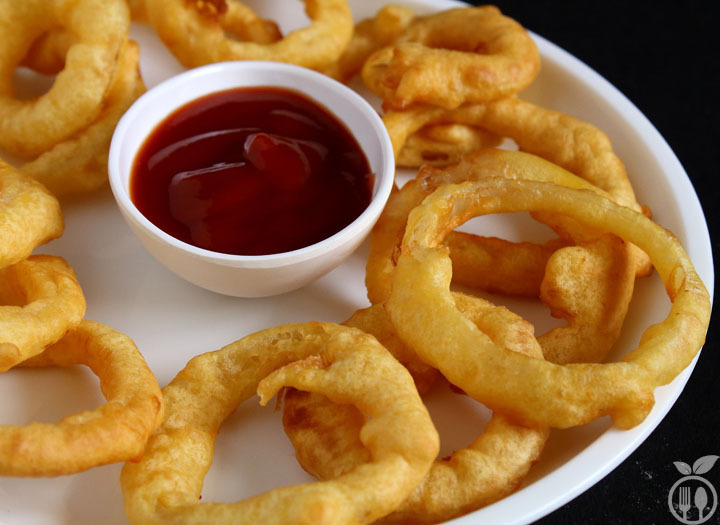 2) You can sprinkle some herbs or chaat masala on fried onion rings. These look incredible. I am so tempted now. Pinning and sharing further. Thanks Khushboo, I am very glad to know that you liked it..
What a great idea… and we all loved them. I found that if you use every other ring of the onion, the cheese stuffs much easier.